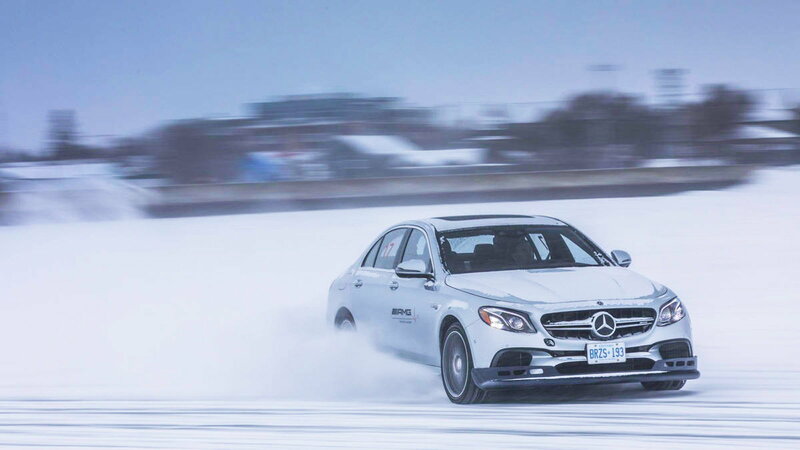 Have you ever wanted to frolic in the snow with reckless abandon while behind the wheel of a powerful Merc? Well, AMG has quite the event for you going down once a year. 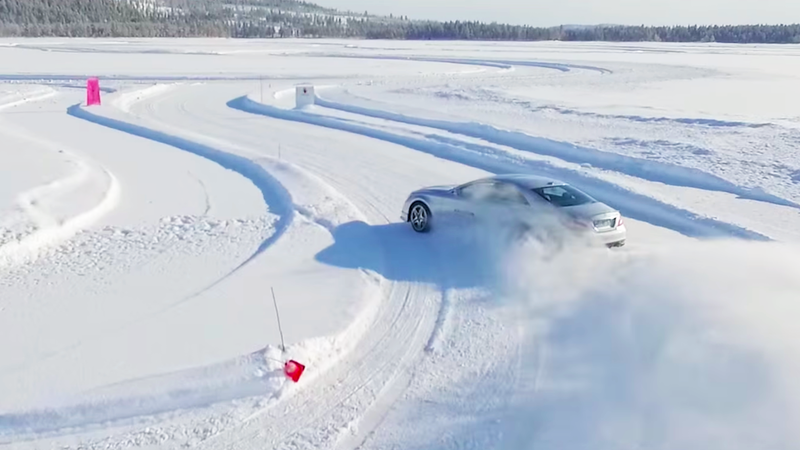 The Mercedes AMG Winter Sporting driving school beckons to automotive enthusiasts the world over from pro to novice alike in an effort to have some low friction fun in the snow. 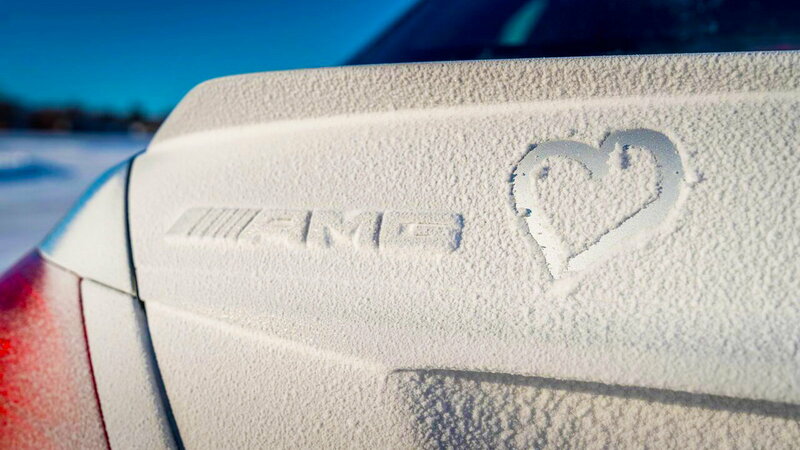 This school, set in the wilds of Gimli, Manitoba, is the second ice-driving school/playground that Mercedes-AMG has opened up with the first being in Sweden. This event is the chance for fans of going fast to take a very high horsepower vehicle and hoon it about in a setting where shenanigans are openly encouraged. 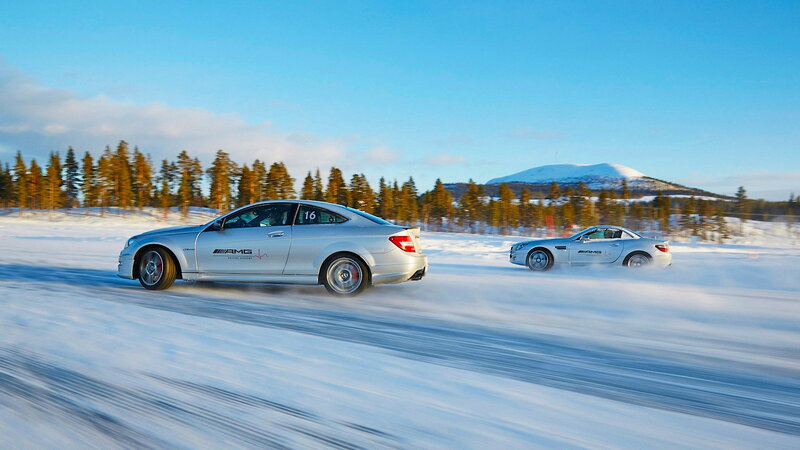 >>Join the conversation about AMG's Winter Driving School right here in MBWorld. AMG provides three different cars for the event: a CLA 45, C63, and E63. 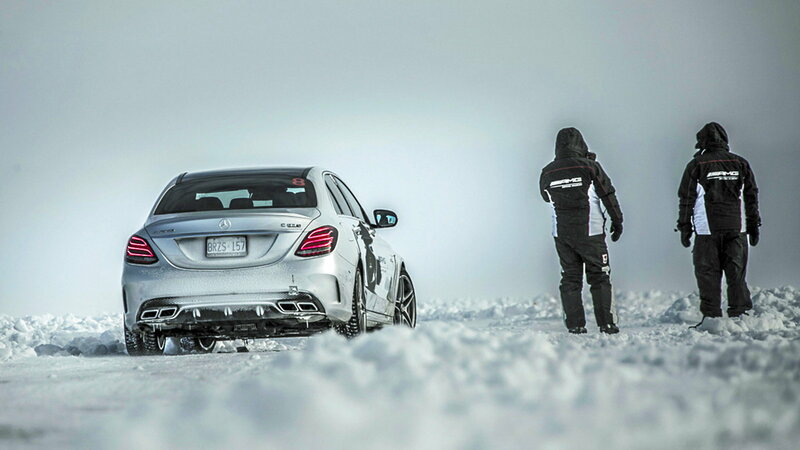 The C63 is rear wheel drive while both the CLA and the E have all-wheel-drive as standard. However, none of them have standard stability control which when tweaked by AMG engineers who are on hand to modify cars with special software so as to not let the cars intervene, even when brakes are applied. Since the vehicles are flying around Lake Winnipeg, they are all equipped with special winter tires that have 400 metal studs hands glued in to give more grip on the frosty front. The cars also have small carbon fiber frames to reinforce their bumpers in the inevitable event of a vehicle greeting a snowy bank. Official activities begin in a conference room where coaches go through the agenda of the event as well as going over safety rules. With formalities out of the way, guests are turned loose on the course driving down a boat ramp onto Lake Winnipeg and able to slide the cars about. Inside a big circle are a peanut shaped course with a dynamics pad and a straight and offset slalom courses on either side. Instructional aid is available but optional. Two-way radios are in every car so that ever-vigilant coaches can offer advice over the radios. The first night is meant to get comfortable with things and ease everyone into driving on the frozen lake. The following day is much longer and moves to the more expansive courses in which drivers can stretch their legs and test their handling prowess. The Winter Sporting program has a theme of "fun first, speed second" to go along with the jovial attitude to keep things nice and light while on the grounds. The days that one would spend at the event are more than just a good time as upon completion we'd bet that guests go home with not just memories but also more skill and a greater appreciation for what AMG cars are capable of. The school ran for five weeks in 2018 and is on the books for a run of six weeks for 2019 with folks already putting their names down for attendance. If this looks like fun to you then we'd suggest that you hustle on over to the site and sign up quickly. The prices listed include everything but the airfare and range from $2,384 for two days to $3,579 for three days, or $4,375 if you want a car all to yourself during the event.